This Error Message Article explains the TEKLYNX CENTRAL error message “User does not belong to ACAdministrator group” and details how to fix the underlying problem that caused it to appear. This message appeared when logging into the TCAdmin page with a user ID that DID have the permissions. 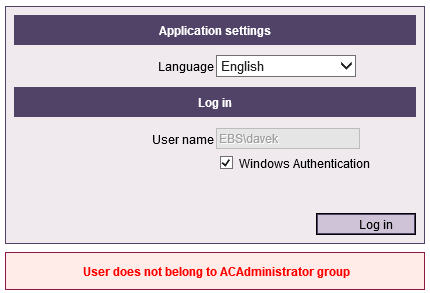 For some reason, the Print User interface would not accept the user login even though the UMSS shows that user belongs to the TCAdmin group. It appears that when added, something was not updated within the system. Using UMSS console, remove the user from ACAdministrator, then re-add back to the ACAdministrator group.